Hi and welcome to my corner of the internet where I mostly talk about online marketing, money and the odd rant about life and business. 1st of all, if you haven’t done so already grab my free marketing from scratch eBook from the sidebar or simply click here and I’ll send it right over instantly (no charge at all). 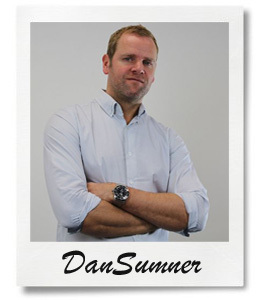 Ok, as you will probably notice the front of Dan Sumner looks all nice and business like, but my blog side is about info and for discussion of any kind, so please feel free to chat in the comments section and also SHARE your thoughts. Also if you want to share on social media then please do so. So, once you have checked out the FREE report comeback and check out the posts section. I’m sure you will love the info I provide. I can usually get through this is a few lines, but seen as you are here I will let you into a few secrets. I’m now over forty! Don’t worry younger generation people I still like a party and may use some un cool words, but stick with me I know me Shi*t.
I’ve been marketing for ages, since 2006, so you could say I’ve been about a bit. I’ve done the seminars, the meetings, the launches, the $100, $1000, $10,000 Dollar days, been wealthy, skint (pot-Less), now still earning an income slightly more than some (quite a bit over the national average in the UK), not as much as some in the UK. So you could say I’ve done a bit and I can help you if needed. *disclaimer – Some of the things I teach here, will or may lead to a sale of one of my product or a commissions for a recommendation of another product. What I teach works, it’s up to you to put in the effort to make it work. Random insta quote – Wealth is a dream until YOU make it real. No one got rich by doing nothing.